It is love at first click. You have found your match, or at least your online dating website says you have; you email each other back and forth and have a couple of stellar phone conversations. You meet and the spark continues. Your first date is a smashing success. You learn that they share your love for The Flaming Lip’s, enjoy Nutella crepes and you both have a penchant for hiking. All of that is lovely but they still haven’t passed your biggest test, will they love your cat as much as you do? Dating Tips For Cat Lovers #1. 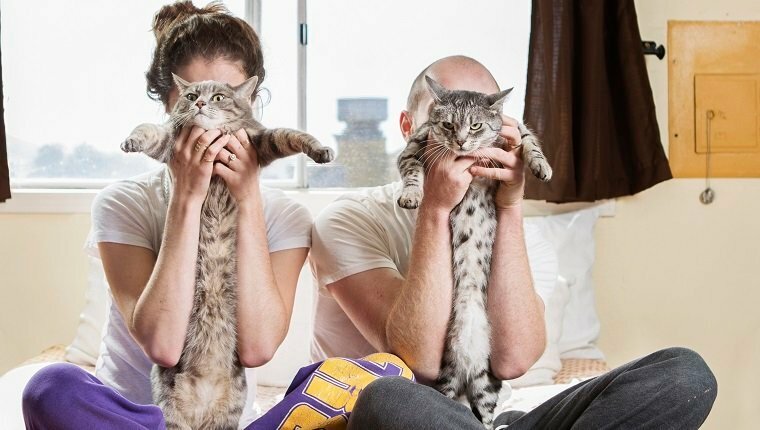 You’ll want to make sure the person you are dating knows you have a cat. I’m guessing your dating profile makes it pretty obvious, but if not, make it clear from the start. If someone is allergic or even more disturbingly, doesn’t like cats, it’s best to cut your losses and move on to the many others who are not going to complicate your blissful kitty life. Dating Tips For Cat Lovers #2. If your cat has problems with jealousy you’ll want to take the time to introduce your kitty to your new date properly. Lots of treats and toys will usually help even a snobby kitty warm up to a new friend. Dating Tips For Cat Lovers #3. Your cat could become jealous and react by hiding or hissing, don’t push the introduction. Your cat will come around soon enough. Just go about your business and let kitty come out when kitty wants to. Dating Tips For Cat Lovers #4. Your date could become jealous at how much attention and affection you shower on your cat. You may need to reassure your human date that they are also very important to you by giving them some cuddle time too. Dating Tips For Cat Lovers #5. Don’t shy away from “dog people” or people who do not own pets. 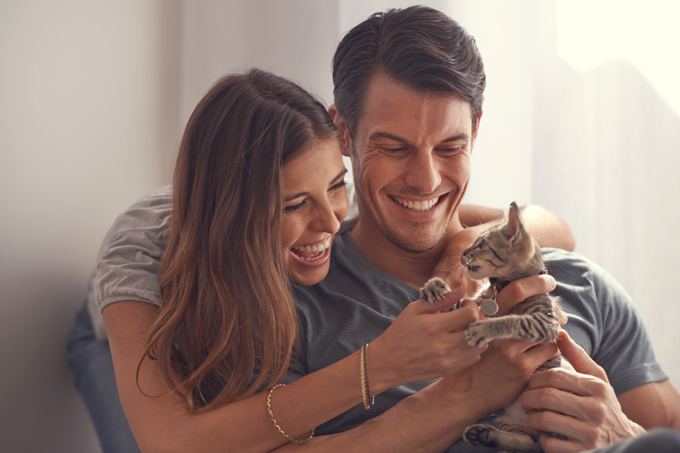 Opposites attract and though things can get tricky when dog and cat people date, your love of all creatures will be the bond that unites you. Dating Tips For Cat Lovers #6. 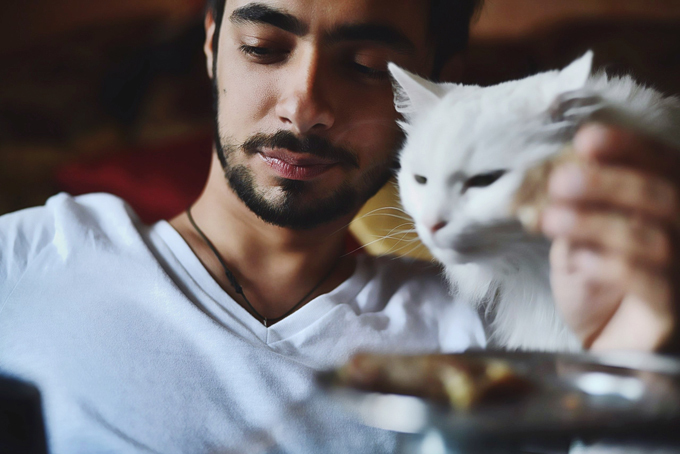 According to some studies women are more attracted to men who have pets so use it to your advantage. If you’re a man, don’t be shy about posting pics of you and your cat, as women tend to search for pics of men and their pets. Dating Tips For Cat Lovers #7. Be prepared for your partner and your cat to fall in love. The things that attract you to both of them will attract them to each other as well. Anybody who bonds with your cat is someone worth considering. Dating Tips For Cat Lovers #8. Most important be yourself and don’t rush things. It’s always better for someone to get to know the real you from the start. 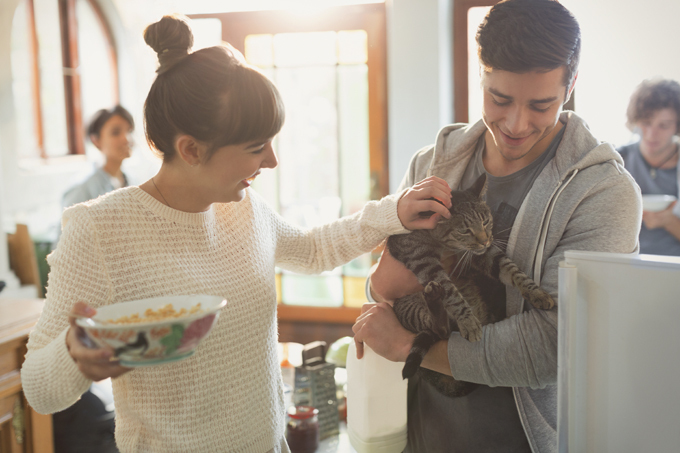 If it doesn’t work out, don’t take it personally; it takes time to find the right person to share your home and your cat with. 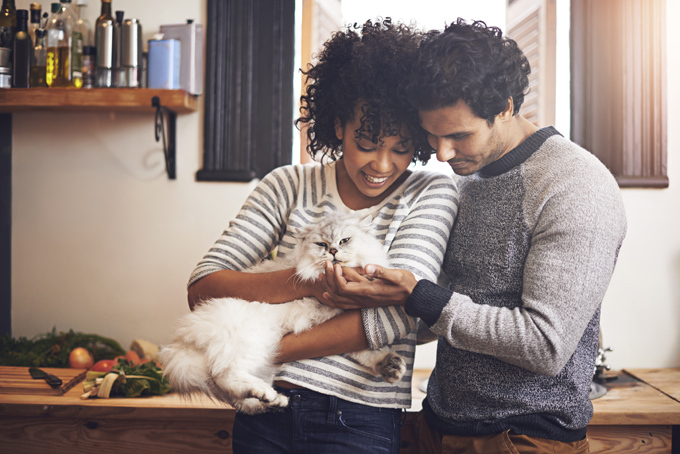 Do you have dating tips for cat people? Share them in the comments below!